As racial and cultural tensions rise in the world, this book addresses the issue that concerns many as they search for answers. 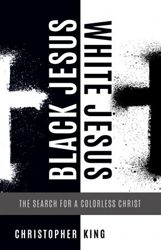 Within the pages of Christopher King’s new book, Black Jesus, White Jesus: The Search for a Colorless Christ ($19.49, paperback, 9781545613313; $9.99, e-book, 9781545615256), readers will find a passionate exploration of the author’s personal journey and failure to find significance through the faith of his childhood. It walks readers through the struggle between culture and faith that has plagued many Christians. The racial and cultural tensions taking place in the world today make this a timely book. This book calls the church back to its foundation: Christ. The greatest takeaway from this book is difference is inevitable, but division is a choice. Black Jesus, White Jesus discusses a great topic Americans are experiencing in our country today: racial division. “It says the things many of us are afraid to say. It forces the conversation and provides answers. It's timely,” said King. Christopher King is the founder and Senior Pastor of The North Bridge Church in Frisco, Texas. Since 1996, he has motivated others and bridged cultural gaps. He is a proud father and devoted husband and lives to see true unity achieved. He has previously published The 3 V’s to Success (2008). Xulon Press, a division of Salem Media Group, is the world’s largest Christian self-publisher, with more than 12,000 titles published to date. Black Jesus, White Jesus is available online through xulonpress.com/bookstore, amazon.com, and barnesandnoble.com.